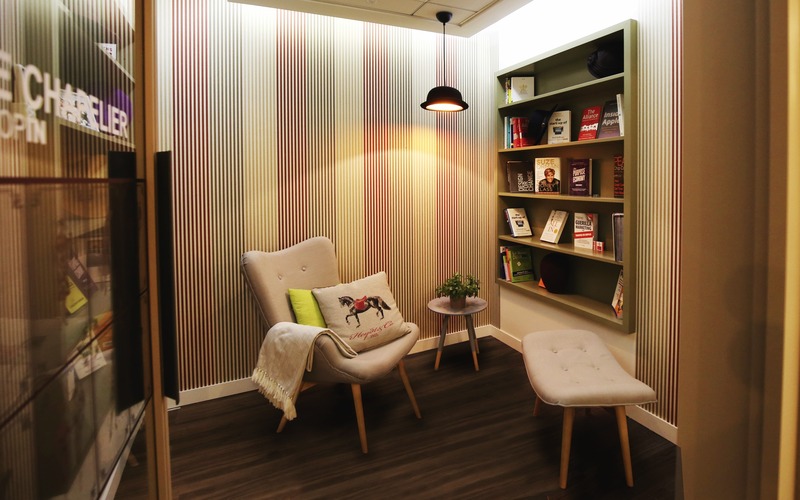 The LinkedIn Paris office takes advantage from an Haussmannian building footprint to represent metaphorically a new conception of ecosystem. An ecosystem is a community of living organisms in conjunction with the nonliving components of their environment interacting as system. 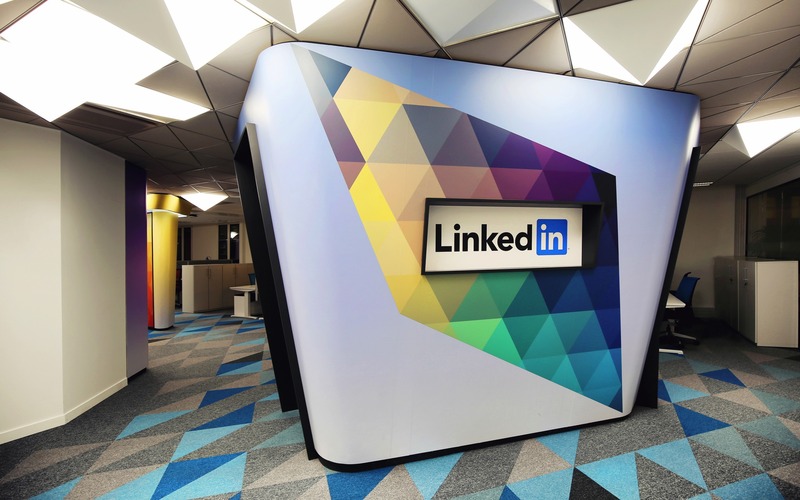 As it nourishes and supports all the elements inside, LinkedIn nourishes and supports every member with training, knowledge, sharing and endorsement. 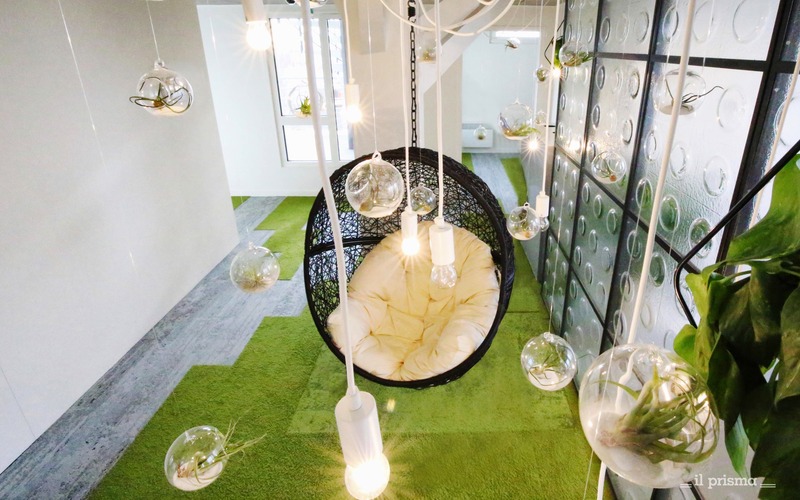 The LinkedIn Paris office become the “Worksphere Ecosystem”. This metaphor reflect the global values of transformation, collaboration, excellence and the importance of every member, mixed with the local soul, pride, relationship, passion and love. 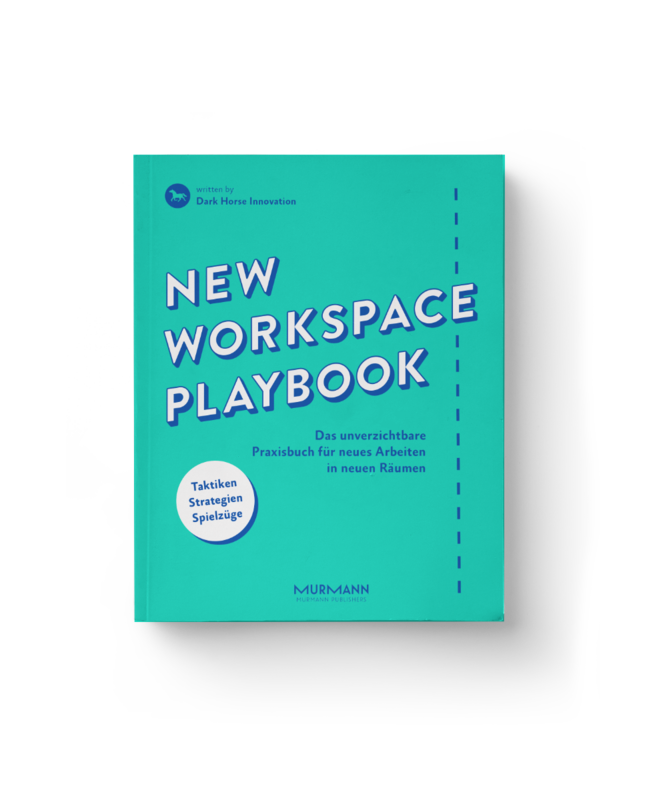 The “Worksphere Ecosystem” is the perfect environment to transform people’s skills into excellences where different workspheres inspire members enhancing their attitudes and skills to reach the best results. 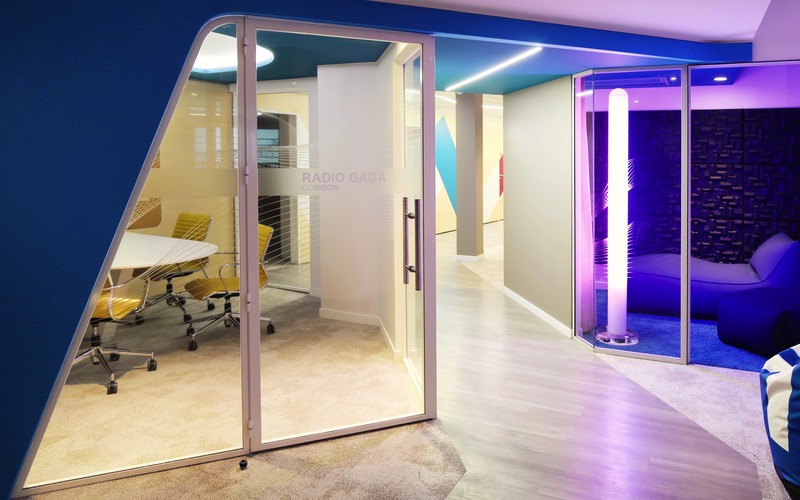 The reception area introduce to the “Worksphere Ecosystem” with an arrival experience of a conceptual “Gare’’ (station) where the global values of the brand are reinterpreted with the local essence. 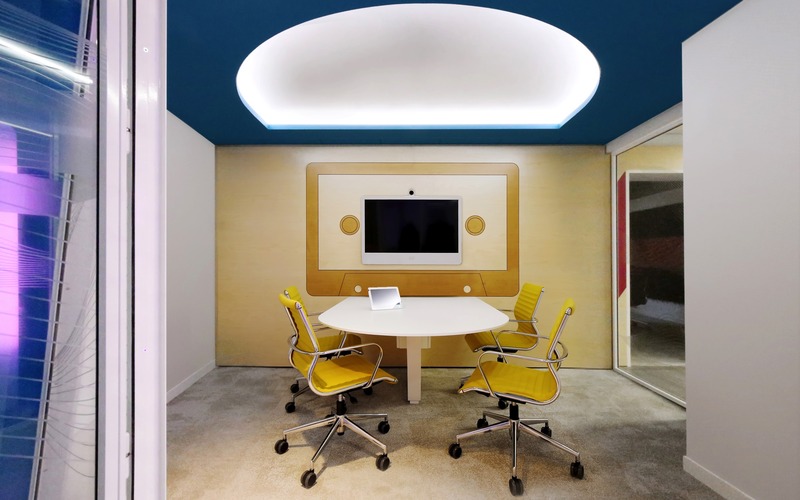 Each workspheres is designed with a balanced mix of work settings and ancillary spaces (open space, meeting room, drop in, copy area, archive) to make any area self-sufficient as an ecosystem. Il prisma defined with the local team seven themes to inform the design of each worksphere representing their approach and the way of thinking which inspire France in the creation and growth of their excellences. “Détails de Style” represent the charm and elegance that distinguish the French haute couture and luxury style in the world. “Musique Urbaine” is the atmosphere and urban philosophy that inspires the modern French music trends and art. “Idée de Parfum” represents the tableau of essences and flavors that enriches most exclusives fragrances, dishes and wines of this region. “Cafè de Phares” is the iconic place of socialization and democratic discussions. “Contraste Moderne” represents the contrasts between shapes and materials, where the design and modern architecture blend with historical cultural roots. “Symphonies Visuelles” is the symbol of the local tradition for visual performances, from cinema to the opera. “Univers Parallèles” is the gate to the worlds, an expression of the multiculturalism that characterize the country: different roots with the same soul. 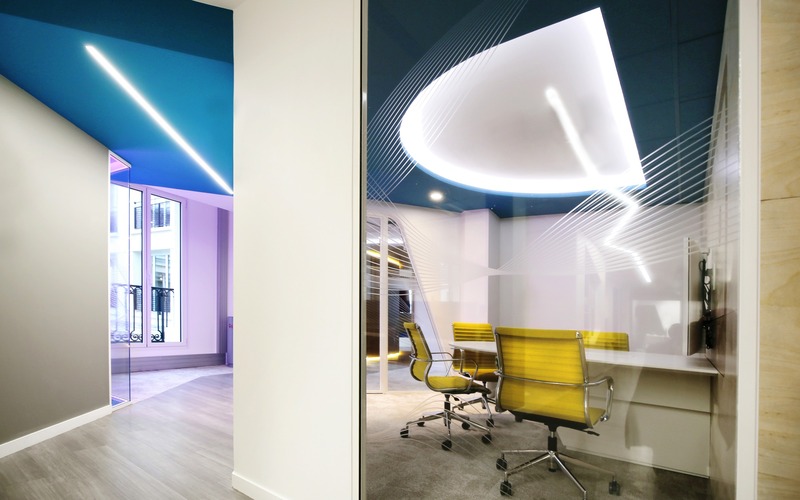 The arrival of LinkedIn Paris office is designed to introduce and welcome the visitors through an immersive experience of thr Brand with regional soul. The entrance is a metaphorical “Gare” where rails arrive and depart from concrete effect reception counter showing on destination wall worldwide LinkedIn offices locations. Several metallic arches recalling the Parisian 19th century steel structures, organize with a reticular grid introducing to the shapes of Economic Graph. “Symphonies visuelles” worksphere speaks of the French tradition in cinema, opera, theater and generally everything that is show. 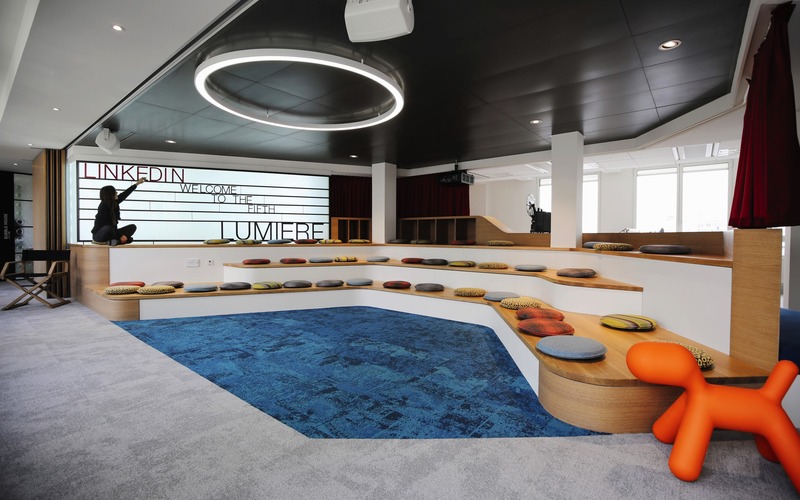 The acknowledge of this excellence from the local team has become inspiration to design a unique All Hands as reinterpretation of a French traditional stage where the signage becomes a flexible light box to welcome special event with different titles and the audience seats is a bleacher for employees. A modern projector and a DJ set corner allows multiple configuration of the space, supporting meetings, projections but also informal events. 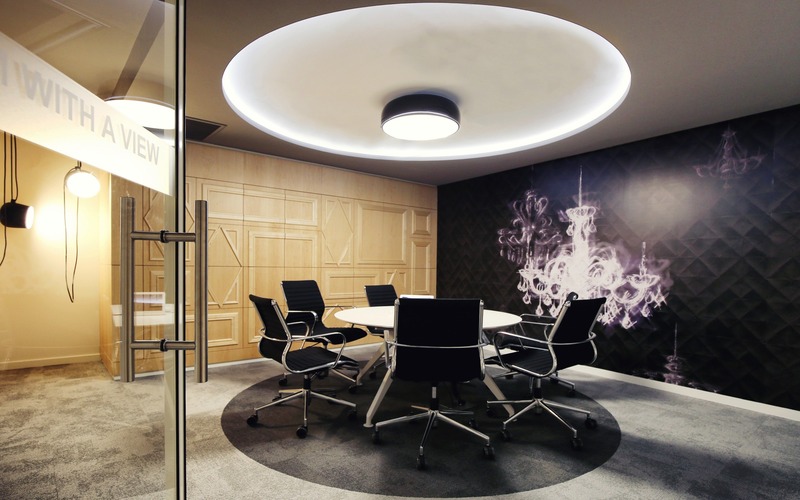 The design of the meeting rooms adjacent to the complete classical scenography of the worksphere with stucco, wallpapers and lamps studied specifically. “Café de Phares” celebrates the traditional French café as a place of democratic discussion, guardian of free thought and icon of the cultural evolution: a place of socialization par excellence. A sophisticated lounge and library area, merges with a cozy breakoutspace dominated by a central unique table dedicated to socialization. 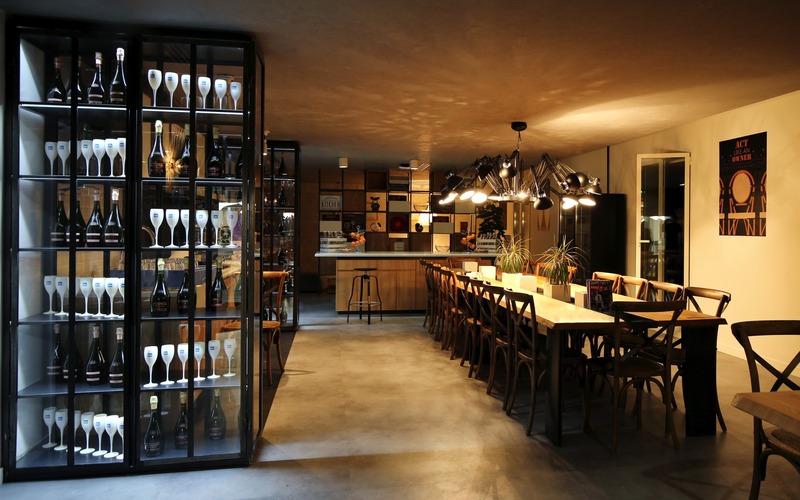 Concrete, steel, rough wood and vintage lamps are used to recreated the atmosphere of the an intellectual French café. “Musique Urbaine” is a worksphere recreate the atmosphere and urban philosophy that inspired the French modern musical trends (electronic music), arts (street art, graffiti) and sports (parkour, skate etc.) Light colors and shapes introduce an urban style taste, while DJ’s headphones are available for anyone would listed music properly in the open space. Several music booths host relax moment or informal meeting. 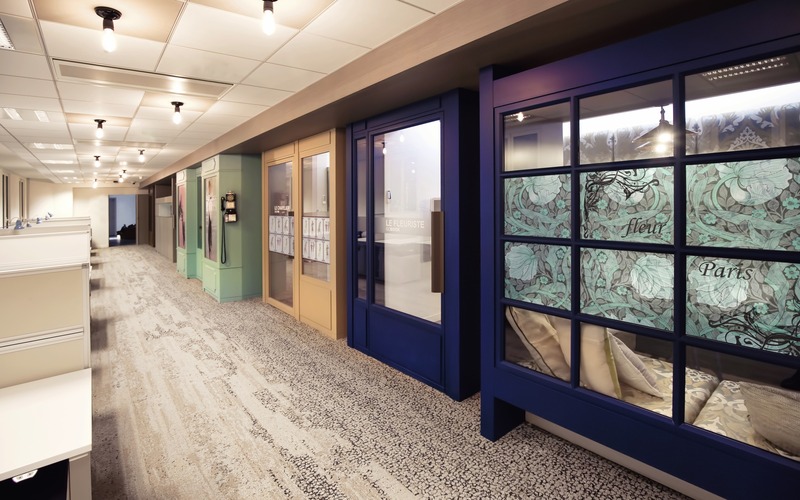 “Détails de Style” worksphere offers several work settings organized as conceptual boutiques streets representing with each windows an French excellence in haut couture, jewelery, luxury and style that distinuish the Frenchness in the world. Materials, colors and patterns are chosen to recall the feeling of walking out on a boutiques street in Paris city center. “Univers parallèles” is a relax and informal area celebrating the multiculturalism as an expression of the different communities: different roots with the same soul. The access is through a secret door concealed into a library, which opens pulling Le Petit Prince. 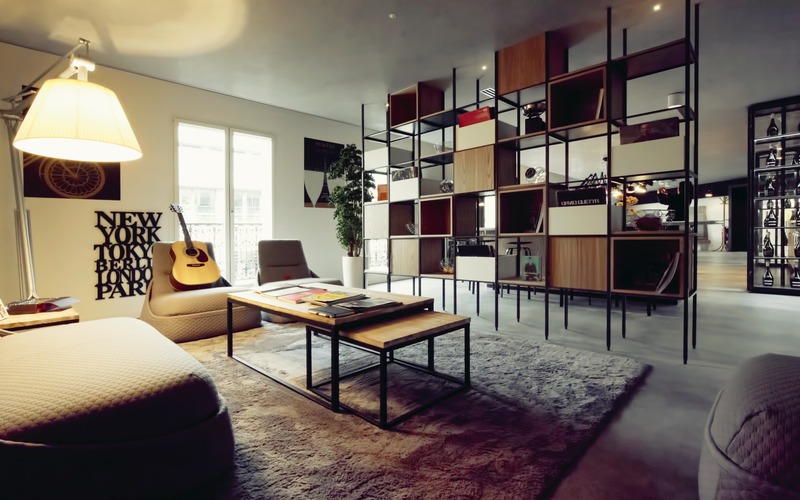 The French cultural mix is represented as a parallel universe in office, a secret place where materials and geometry inspired to the African and Indonesian colonies and fused in a disruptive lounge area. “Contraste Moderne” worksphere is the place where design and architecture blend with historical cultural roots. 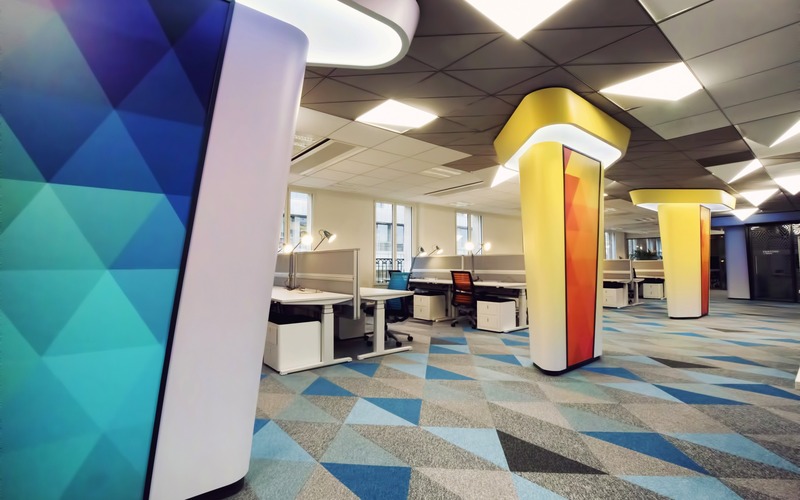 The contrast between shapes and materials inform the design of the open space where a dynamic triangular pattern became the ceiling and flooring design. The pillars become modern sculptures while meeting rooms and drop in, overlap traditional wallpaper with provocative ceiling and lighting solutions. “Idée de Parfum” takes inspiration from essences and flavors of the most exclusive fragrances, the most sophisticated dishes, and the most precious wines of French tradition. The all way becomes a green path with suspended plants and conceptual threes, while the meeting rooms are designed with green house glasses partition and a wood pergola recalling to the minds the places where the French excellence creates unique fragrances and flavors.